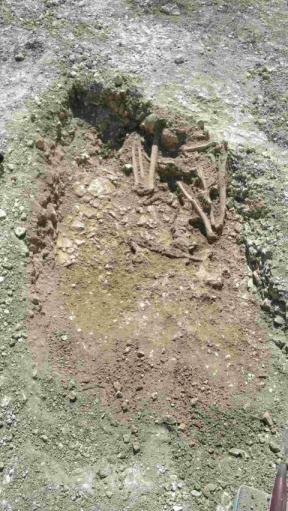 SIX Saxon skeletons dating back over a thousand years and Bronze Age round barrows have been discovered in Amesbury. Five skeletons were arrayed around a small circular ditch, with the grave of a sixth skeleton in the centre. Two lots of beads, a shale bracelet and other grave goods were also found. The site is now being excavated for other artefacts by Wessex Archaeology led by Phil Harding from Channel 4’s Time Team. 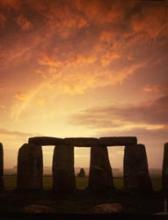 Mr Harding said: “Given that the Stonehenge area is a well-known prehistoric burial site, it was always very likely some interesting discoveries would be made here. The fact that these round barrows were previously unknown makes this particularly exciting. Contractor Mansell Ltd, part of the Balfour Beatty Group, was preparing the site for a housing development for Aster Group, when the discovery was made. In May 2002 the Amesbury Archer was discovered during excavations of a new housing development.